SEDGWICK — Blue Hill Heritage Trust, in a collaborative fundraising effort with Maine Coast Heritage Trust, and Island Heritage Trust, has purchased a critical 32 acres of land in a two-decade effort to save the spectacular views from Caterpillar Hill — the view from Route 15/Caterpillar Hill Road. Working with MCHT and IHT, BHHT entered into a purchase option agreement in July 2017, and completed the transaction on Dec. 18, 2018. The property includes a building which at various times has been an art gallery, restaurant and ice cream shop. BHHT values the memories that this building may hold for people but will be removed due to the failing foundation and to open up the view to the northwest. 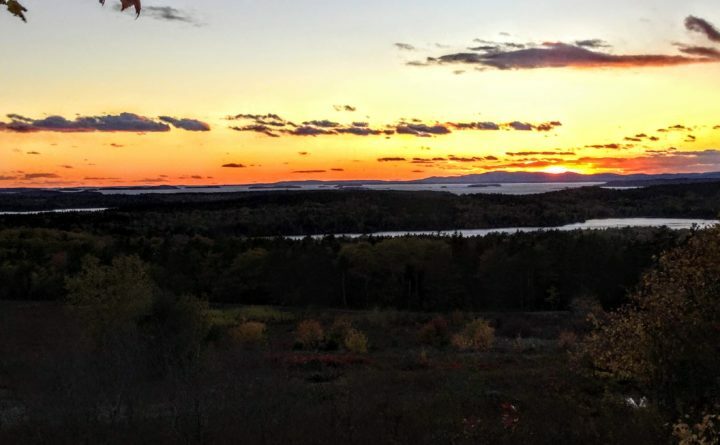 The views from Caterpillar Hill out to Penobscot Bay rank high on the State of Maine’s scenic inventories of Penobscot Bay and Downeast Maine. The townspeople of Sedgwick ranked protecting these views as a top priority, and conservation organizations made this a focus of their work as well. “We are very grateful to the many people around this peninsula, Deer Isle and islands who gave in big or small ways, and who together helped us,” said Ciona Ulbrich of Maine Coast Heritage Trust. In addition to protecting the scenic views from the roadside, acquisition of this land will offer an opportunity to work with the town, on the part of the property along the town-maintained roadway to Walker Pond. Maine Coast Heritage Trust is a statewide land conservation organization dedicated to protecting land that is essential to the character of Maine, its coastline and islands in particular. Since 1970, more than 144,000 acres and 300 entire coastal islands have been permanently protected. For more information, contact Rich Knox, Director of Communications at 207-607-4581, or visit www.mcht.org.